Jim Egan is the Executive Director of the Marine Resources Council, a non-profit organization dedicated to preserving the Indian River Lagoon. Jim oversees a staff of twelve scientists and over seven hundred volunteers involved in efforts to preserve our local Marine Resources. Every program is science-based but driven by local volunteers of every age. These programs are always looking for volunteers: Water quality monitoring, native planting program, brazilian pepper busting, the Right Whale Monitoring Program, the Indian River Lagoon National Scenic Byway Program, the Library of the Indian River Lagoon, the Lagoon House Welcome Center and the public education programs. Brevard is experiencing a growth spurt that won’t turn us into Miami but will completely alter the Brevard we know. Roadways, schools and services will lag behind development as usual, and traffic problems and increases in taxes to try to fix these problems will be inevitable. What is the most troubling thing you see happening in the county? Continued decline of water quality due to ever larger number of homes, driveways, parking lots and lawns contributing stormwater and fertilizers to lagoon. Urbanizing rural areas against the residents wishes, often by annexation of surrounding undeveloped lands. Building highrises along the lagoon, with the ultimate end being the encasement of the lagoon in condos just as the oceanfront as been walled in. How can we face, fix, improve, defuse the issue? Elect smart growth proponents to have large scale impact. On a local scale we need to stop using quick release fertilizers, move away from lawns to native plants, avoid overpaving your property. I work for the Marine Resources Council, overseeing every aspect of our programs. Through education and hands on projects, MRC’s staff and volunters restore over 10 million square feet of lagoon shoreline every year, plant thousands of mangroves, test the water quality in the Indian River Lagoon, help protect endangered species like the Right Whale and purchase lands for preservation. I also practice what I preach on my property. I am passionate about preserving our natural environment. Man’s greatest achievements pale in comparison to the simplest of the creator’s works and yet we show so little respect for the creation, we bulldoze masterpieces to put up parking lots. Allow only smart growth. This would cause the county to slowly grow and not race to become another palm beach county. It would also help preserve the Indian River Lagoon and reduce additional burdens on its well being. Short-sighted profit making influencing local government by funding their election campaigns. Your vote is not equal to the vote of someone who contributes to a candidate once that candidate is elected. 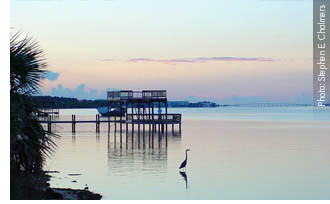 Brevard has a unique mix of urban and rural, of cultural and natural resources, it wraps around the Indian River Lagoon, an estuary with more species then any other in the country. We have plenty of sprawling cities, we only have one Brevard. Call (321) 725-7775 and find out how you can volunteer or become a member of the Marine Resources Council. Whatever your interest we will find a powerful role you can play. Whoever you are, you can make a difference!